Clinical Nutritionist – CARE Wellness Center has one of the most knowledgeable clinical nutritionists on staff devoted to healthy weight loss. Amy Carlson, Holistic Nutritionist is an integral part of the CARE Wellness Team. 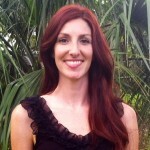 Amy holds a bachelor’s degree in Nutritional Science with a focus in holistic nutrition. Since obtaining her degree, Amy is counseling people in making nutritional changes through various stages of their lives. Much of Amy’s focus and dedication the past two years has been spent working with those who wish to start a family, who are choosing to expand their family, as well as with women who are pregnant, who are post-partum, and who are breast-feeding. A nutritious lifestyle is advantageous especially during these particular stages of life. Amy is passionate about using education and counseling to help individuals make and implement changes to their diet and ultimately their lifestyle. She recognizes that each individual has unique needs; there is not one particular protocol or “set of rules” that will work for everyone. Using fresh, whole foods to obtain vital nutrients, Amy will partner with you to ensure your nutritional choices help you achieve your desired level of wellness. Our diet and nutrition program at Care Wellness Center offers the scientific application of nutritional principles based upon complete knowledge of the individual. Great care is taken to examine all aspects of lifestyle which affect health including diet, supplementation, exercise, and physiological/psychological factors. In a private office setting we are able to provide care which is both personal and accessible. We customize and tailor weight loss diets that help you lose weight fast. The information available in recent years regarding the relationship between diet and disease has affected the nutritional trends of the American consumer, especially since this relationship concerns the incidence of common chronic and deadly diseases. Currently, cardiovascular disease, cancer and obesity rank as major health problems facing our society. Studies conducted by the National Center for Health Statistics reveal that significant portions of the American population, including children, are overweight. Epidemiological studies also indicate that being overweight, even slightly, increases the risk of developing hypertension, cardiovascular disease, diabetes, and cancer. With the facts so apparent, it is not surprising to find that interest in the prevention and treatment of these conditions with alternative methods is on the rise. Make an appointment for a free consultation with Amy Carlson today by calling 954-586-8088. We provide the most effective Diet and Nutrition programs for the residents of Margate, Coral Springs, Coconut Creek and Pompano Beach Florida.